﻿ Jobsite Safety and Training | Movin' Air Heating & Air Conditioning Ltd.
Movin' Air Heating & Air Conditioning Ltd. is COR certified by the Alberta Construction Safety Association. We achieved Certificate of Recognition status many years ago and meet or exceed regulatory safety standards. 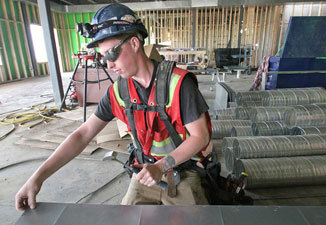 Each employee is required to take formal safety training by an audited trainer. The Movin' Air safety program is recognized as a model for effectiveness in accident prevention. While reducing job-site accidents affects the bottom line, we believe safe-work practices are an investment in our greatest resource – our people. 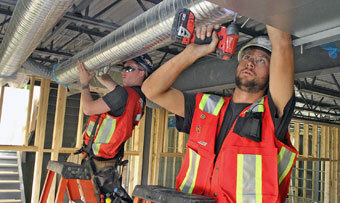 Safe workplace practices contribute to the well being of our employees and our company.